At the end of Season 2, Barry Allen was unable to live with the lost of both his biological parents in his short life. Knowing he has the power to change these events, he finally does. He travels 16 years into the past, stops the Reverse Flash, and saves his mom from getting murder. It also prevents his father from going to prison for 15 years. This changes everything! It's not like this hasn't been done before, it's straight out of the comics! 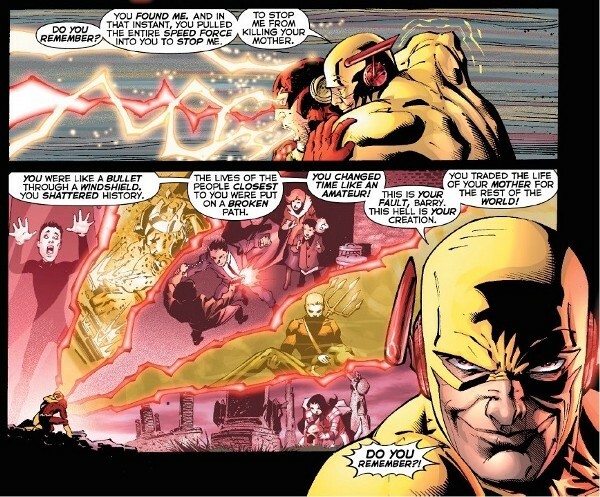 FlashPoint was a major storyline that essentially rebooted the DCcomic Universe, creating the New 52. It's obvious the producers, writers, and creators of this show wanted to do this FlashPoint story so bad! 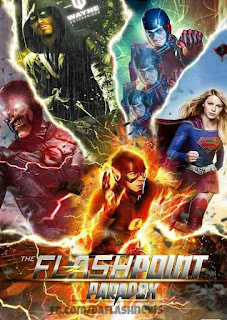 Check out my post on 5 References to FlashPoint Paradox on The FLASH. If you don't have access to the full comic book story, watch the animated movie, Justice League: The FlashPoint Paradox, on Netflix. Many comic book fans rave about the movie, so it sounds like a good source if you can't get the original. In truth, I've only seen the movie, I haven't been able to read the comics yet. Obviously, there will be several differences from the comic or movie to the TV series, simply because the CW doesn't have access to the characters needed. I do believe the series will start off slow before coming to a climax in the 4 series/4 episode crossover between all the CW DC TV Shows. That should be Episode 8 of all the series. Episode 9 will begin the second story for Flash's Season 3, and then we'll have winter break. If I was writing Episode 1 of Season 3, I would begin with Barry in his CSI lab. He's working at his desk, when Joe walks in talking about a case. They have a good, working relationship, some banter. The audience is still unsure of changes, does Barry still have powers or not? Barry rolls the paper up on his board to write something on the white board underneath, this also reveals Barry no longer has his mother's murder board up. Things have changed. Barry ends his day at work. We see him go to his parents home, taking public transportation, or driving. *Oh fudge! He doesn't have his speed! * They have a family dinner. He might have a girlfriend, maybe Patty's back? 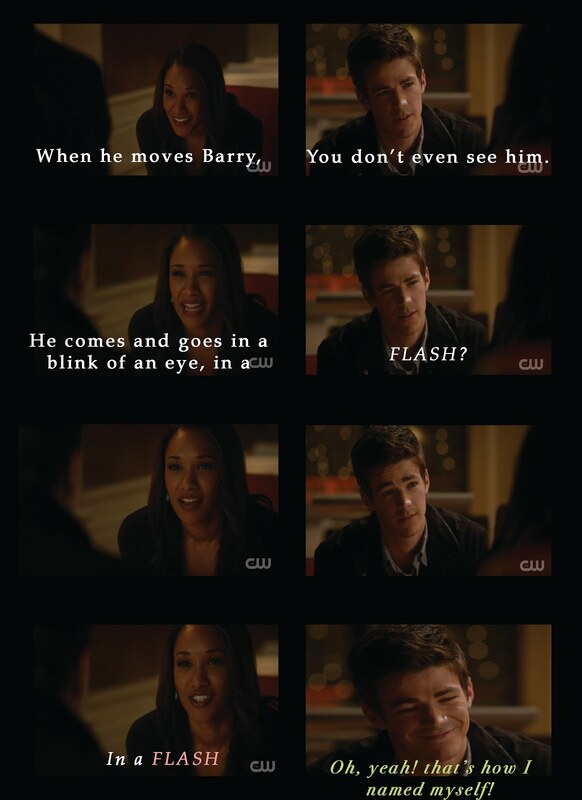 Maybe Caitlyn for all those SnowBarry Fans? Basically, it'll show a happy, well adjusted Barry Allen living the life he would've had, if his mother wasn't murdered, father hadn't been imprisoned, and the trauma that scarred him for life hadn't happened. In the background though, there will be news reports of war or something big and bad that's happening in the world. Whatever it is, will build up until it climaxes at the 4 Series Crossover. In the meantime, Barry goes home to his own place, alone or with someone, it's still to be decided, and goes to bed. Cisco, since his powers are to see through the multiverse, see through time travel variants, he'll vibe into Barry's dreams. Cisco will try to give Barry a message about being the Flash, changing history, impending doom, we need your help; you know, that type of jazz. Iris might be co-vibing in via Cisco. Barry wakes up in a sweat and eventually goes searching for answers. Barry gains bits and pieces of his memories and remembers his 'relationship' with Iris, and decides to find her. He finds her at Central City Daily News, but she brushes him off reminding him of their failed high school relationship, and leaves meeting another man outside with a kiss. Cisco will vibe Barry again with another urgent message and almost immediately afterwards he'll see on a news report of this big, bad, something that's going on in the world and he'll see a streak of yellow across the screen. The Reverse Flash is Back! All his memories return! Rushing to his parents' home, he checks on them before looking for help in the form of Harrison Wells. By the end of the first episode, we will meet all the main actors/characters again. Seasons 3 Villain, I believe, will be Eobard Thawne/ Reverse Flash (being himself/ not masquerading as Wells). Joe will be at the police station, Henry and Nora will be at home, Iris will be at the Newspaper, Wells will be at his lab, and Cisco will be vibing in. Caitlyn will either be in a relationship with Barry or working for Wells. Wally will be with either Joe or Iris, or he might be Barry's best friend. I could see Wally coming over for that family dinner. Later after seeing the yellow streak, when Barry goes to check on his parents, we get the funny Barry's mom thinks he's gay scene. Obviously, in this version, Barry is not in a current relationship. This is just a theory on how the first episode of the new season will be. I predict Barry will not have his speed until episode 4. I know that sounds like a long time but it's really not. 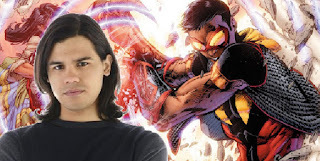 There is a ton of things that could happen and I think a lot will focus on Cisco and his powers developing. This time it will be Barry speeding up the particle accelerator being created with Wells, not Thawne. Once Barry has his powers back, something will be happening in the city that will occupy him for a few episodes until things get way out of hand and the crossover occurs. just one possibility. What do you think?